Nature’s Sunshine Red Clover Blend contain isoflavones that may support the cardiovascular system. 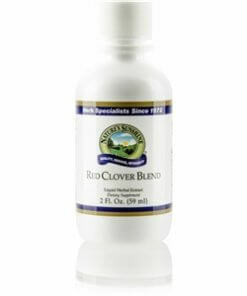 Red Clover Blend’s isoflavones are estrogen-like compounds, which may be beneficial for the female glandular system. 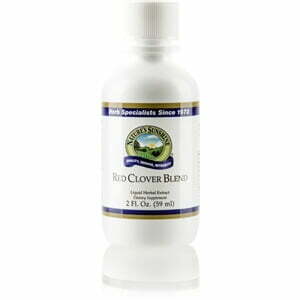 Nature’s Sunshine Red Clover Blend contains red clover blossoms, burdock root, pau d’arco bark, and sage leaves. Place several drops in hot water for a pleasant-tasting tea, or take directly under the tongue or with juice. Instructions: Take one teaspoon (5 ml) three times daily with a meal. A natural and pure extract composed of the finest red clover blossoms (Trifolium pratense), burdock root (Arctium lappa), pau d’arco bark (Tabebuia heptaphylla), and sage leaves (Salvia officinalis) in vegetable glycerin.